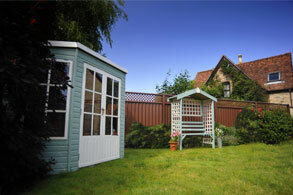 Welcome to ColourFence in Buckinghamshire, the provider of the stylish ColourFence, ColourRail & ColourGate. 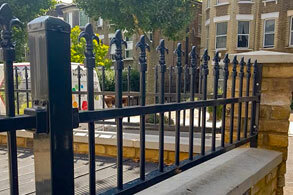 To complement our market-leading garden fencing, garden railings & garden gates, we also offer the highest level of professionalism, which we’ve perfected by working with an extensive list of customers over the years. 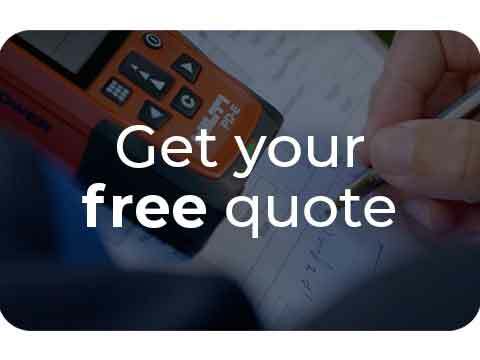 We value your opinion, which is why once we’ve visited you on-site and given you your free no-obligation survey we leave the rest to you. You choose the style to suit your needs. All our products are made from galvanised, ColorBond™️ steel which ensures that our range doesn’t rot, rust or weather, leaving less time required to maintain your garden and more time to enjoy it! 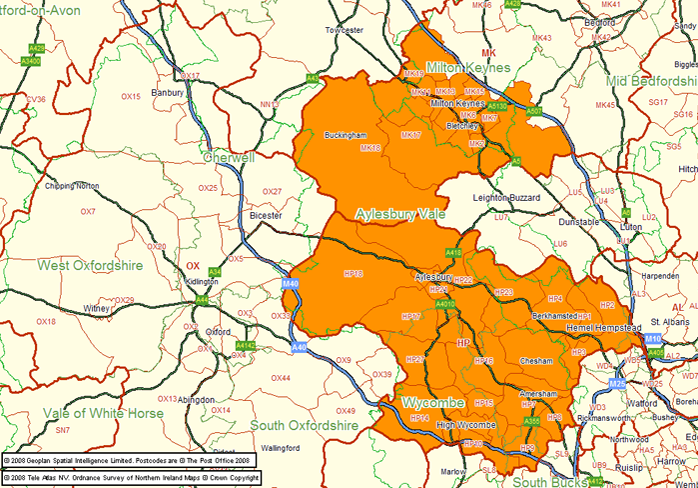 So, if you’re in Buckinghamshire or its surrounding areas such as; Aylesbury, Buckingham, High Wycombe & Milton Keynes and you want to learn more, or you want to us to visit you on-site for a free no-obligation survey get in touch today and let’s have a chat. "Here we are finally after two deliveries of broken trees!! and having to wait another few weeks for the healthy trees to arrive, we can now say that the garden is now properly finished. This is the look we were aiming for and thanks to your hard work the fence and the trees are now truly the main features of our small but delightful looking garden. I hope you are keeping well and no doubt very busy creating more beautiful gardens. Once again thank you for giving us a lovely and perfect fence." 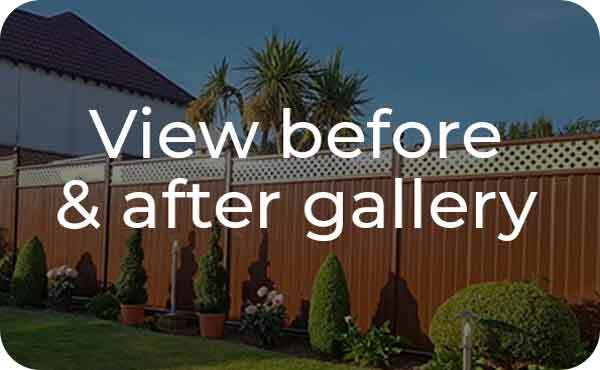 "Both Lesley and myself are extremely pleased with the fence, it has totally 'lifted' the appearance of our house and garden." "My ColourFence looks amazing and now I have just had the artificial grass laid it looks spectacular, I now have a maintenance free garden." "Thank you so much for doing a fantastic job with our fencing. We LOVE it and are both over the moon. It is far superior than the normal wooden fencing on the market. We wouldn't hesitate on recommending you and ColourFence to friends and family needing fencing in the future"
"Thank you for doing such a fantastic job on our fence. We love it! It is such an improvement." "We both thank you and James for all your help. We are really happy with our new ColourFence." 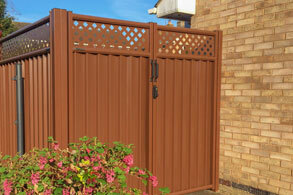 "The fence looks very good in our garden and we are very pleased and impressed by the quality and the work." Five out of five-star service! Overall we're really impressed with ColourFence! It looks attractive, it's durable (can withstand gusts of up to 130mph) and requires no maintenance or little to no maintenance. The service was quick and they even helped demonstrate the product beforehand, so we knew exactly what we were getting. A genuinely great product, for a competitive price.